I've always loved Pokémon since the first anime season aired in NZ, and like most people I loved Pikachu. 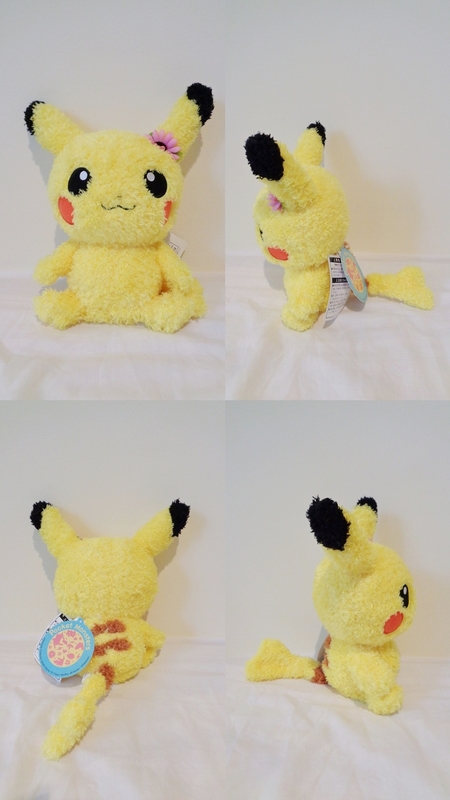 I used to many moons ago own a Hasbro Pikachu plush but where that went can't really remember, so I thought it about time to get a replacement and what better time than when this cutie came out. She's such an adorable Pikachu that I could not resist, even if she has a somewhat ugly looking purple flower on her ear. I had hoped that the flower was sown on which would mean a simple removal and a free Pikachu, however that was not the case. 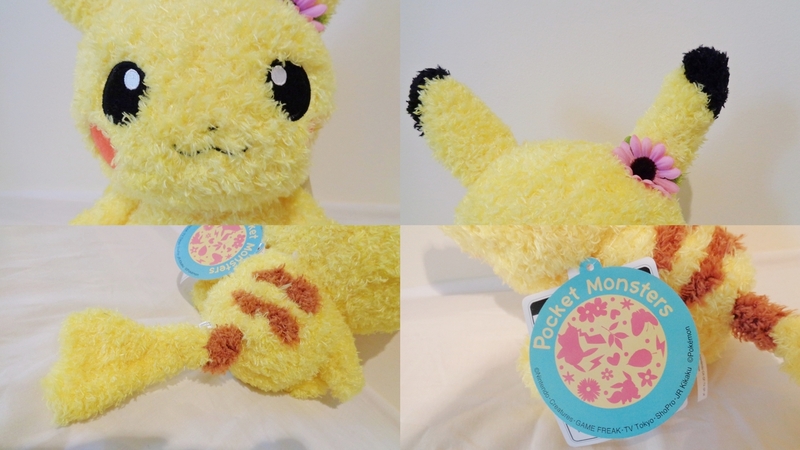 I ended up having to cut the flower out of her fur as it was glued on, which left poor Pikachu with a bold patch. But do not despair my little chu I will get a far cuter accessory to replace it with!